Classes are held at the Hub’s 3016 Minnehaha Avenue location (unless otherwise noted). Most classes are limited to four people so you’ll receive quality attention. Be sure to bring your bike and a set of clothes that you don’t mind getting greasy! See below for detailed descriptions and prices. 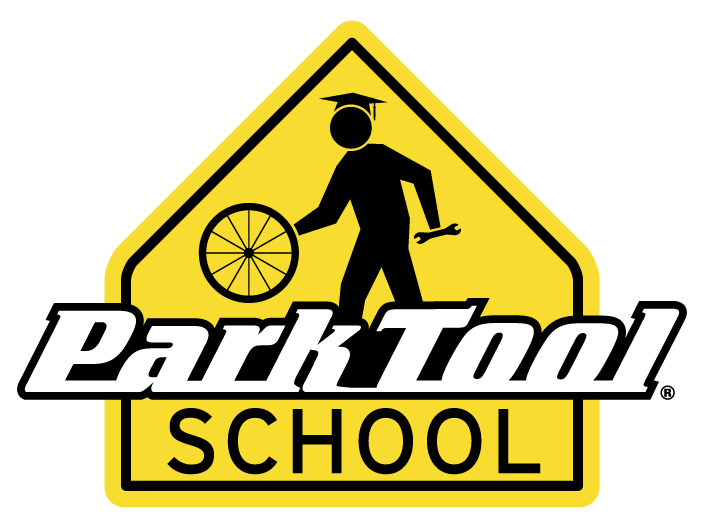 The Hub's Education Department is also officially recognized as a Park Tool School! Reserve your spot in the Classes section of our Online Catalog. If you'd like to see an overview of all courses and times, check out upcoming classes on our events calendar. Email any questions to classes@thehubbikecoop.biz. This FREE hour-long class is designed to keep you on your bike and enjoying your ride! We’ll go over the tools needed to fix your flat, how to identify its cause, and techniques for making the whole process quick and painless. Bring your bike to practice on and wear clothes that you won’t mind getting dirty. These classes are free of charge with the donation of a canned food item (for our local food shelf). Winter Riding Seminar - FREE! This FREE hour-long seminar is designed to take the mystery out of successful and FUN winter bicycling. We’ll spend time discussing the equipment and techniques that will get you out riding more in the winter months, as well as clothing and nutrition choices that will help improve comfort. Whether you are a seasoned winter riding veteran or just thinking about giving it a try, stop in to get prepared! This course is taught seasonally, usually in autumn and early winter. View our upcoming classes on our event calendar. This course is intended for students with little or no bicycle maintenance experience. This 2-hour course imparts all of the basic wisdom necessary to help you troubleshoot issues with your bicycle. The course covers bike anatomy, wheel removal, tire & tube replacement, cleaning the bike, lubricating the chain, and a Q&A with a professionally-trained Hub Bike Co-op mechanic. Bring your own bike to work on and wear clothes you won’t mind getting dirty. PLUS, students of this course get 10% off shop supplies/tools day of class! Reserve your spot at the Classes section of our Online Catalog! The course is comprised of two 3-hour sessions. The class is a mix of lecture, demonstration, and hands-on skills development as you learn the basics of a bicycle tune-up. Class topics include: wheel anatomy and basic truing, hub cone adjustments, brake and derailleur adjustments, and basic drivetrain maintenance. Bring your own bike to work on and wear clothes you won’t mind getting dirty. PLUS, students of this course get 10% off shop supplies/tools day of class! This class is also specifically available for femme/trans/women (FTW) groups. Note: due to varying skill levels & time constraints, students’ bikes may not be 100% tuned up at course completion since the focus is on teaching the skills. This 4-hour class will focus on shifting systems. The class covers removal & reinstallation of the chain, cassette/freewheel, crankset, and derailleurs. Customers will also learn how to replace their shift cables & housing (available with a 10% discount). The ideal person for this class has either completed the Complete Tune course (though not required), or is someone who is mildly comfortable with simple adjustments on their bike and looking to move to the next level of wisdom! Bring your own bike to work on and wear clothes you won’t mind getting dirty. PLUS, students of this course get 10% off shop supplies/tools day of class! This 4-hour class will explain most types of bearings used in bicycles and how to overhaul them. By the end the class you will be rolling along gleefully on freshly overhauled wheels, bottom bracket and headset bearings. Bearings and cones for the course may be purchased at a 10% discount. The ideal person for this class has either completed the Complete Tune course (though not required) or someone that is mildly comfortable with simple adjustments on their bike and looking at moving to the next level of wisdom. Bring your own bike to work on and wear clothes you won’t mind getting dirty. PLUS, students of this course get 10% off shop supplies/tools day of class! Reserve your spot at the Classessection of our Online Catalog! View our upcoming classes on our event calendar. This course is comprised of two 3-hour sessions. Students will leave the class with a new wheel built by their own hands! Students may even try for a two-wheel set (if they choose). Students will provide their own materials but will receive 15% off wheel materials if purchased through The Hub. Please come in to the shop before the Sunday prior to your class if you intend to order wheel parts. Wheel lacing pattern options for rear wheels include 3-cross, 2-cross, and 3-cross drive/radial non-drive. Front lacing pattern options are 3-cross, 2-cross, 1-cross, and radial. Be advised that radial lacing voids most hub manufacturer’s warranties. There will be no spoke cutting in class. Ask Hub service department staff to help with spoke calculations when you are purchasing parts. Any exotic lacing patterns must be approved by the class instructor prior to class. PLUS, students of this course get 10% off shop supplies/tools day of class! Note: due to varying skill levels & time constraints, students’ wheels may not be 100% complete at course completion since the focus is on teaching the skills. This is your opportunity to learn more advanced skills, work around your busy schedule or just get some one-on-one instruction from professional industry veterans. Classes are a mix of lecture, demonstration and hands-on skills development as you will be learn the proper procedure for maintaining any part of you bike. Potential class topics include but are not limited to: internal hub service, hydraulic brake service, suspension service, lighting systems, computer integration, fit adjustments and more. Bring your bike to work on and wear clothes you won’t mind getting dirty. PLUS, students of this course get 10% off shop supplies/tools day of class! You will leave this class with a customized list of tools and supplies for your specific needs and a better understanding of how to keep your bike working at peak performance. Are you interested in having our staff come to you to teach a seminar? This can be done! Email: classes@thehubbikecoop.biz for more information or to request a custom class or private lesson. Not all ideas will be possible, but it won’t hurt to ask! Deposits are transferable and/or refundable with at least 1 week (7 calendar days) notice before the date of class. Transfers may be accommodated with less than 1 week notice only if a comparable class has openings available. For two-session classes, students must complete first session before attending the second. The second session of a two part class can be rescheduled, with at least 48 hour notice, to the next available second session of the same class. Fix-a-Flat classes may be cancelled due to weather with no advanced notice, if no in-door alternative space is available. The class will be re-scheduled as soon as possible. All two-session classes must be canceled as a pair. Classes may be cancelled only if fewer than 2 paying students are registered. Classes will be officially cancelled at least 48 hours before start date. Any students that have registered and paid for a class that is cancelled are to be offered either a refund or transfer to a future class, whichever they prefer.